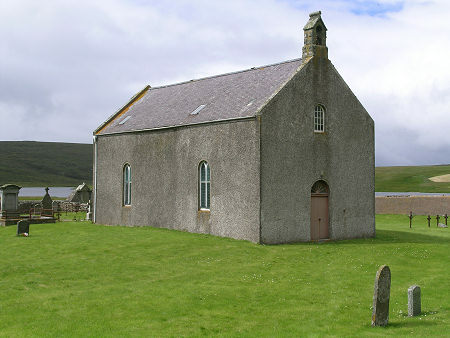 Close to Fetlar's Tresta Beach and backed by Papil Water is Fetlar Kirk. Its location is a lovely one, with views west to the high ground of Lamb Hoga and north towards Vord Hill. 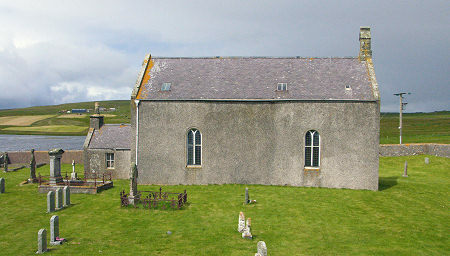 The kirk was built in 1790. It is a plain grey harled box with a bellcote at the top of the east gable and a small annex on the west end. It replaced an earlier church - possibly a series of earlier churches dating back to Viking times - and a old memorial stone with an unclear date is built into the south wall of the annex. The nearby manse dates back to 1756. Internally the kirk seems smaller than it appears from the outside. 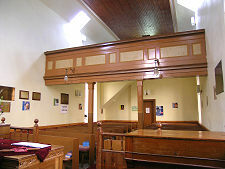 At the east end a gallery extends forward almost to the mid point of the church, meaning that most of the pew area is double layered. 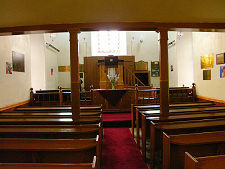 This gives the lower level of pews an intimate, rather enclosed, feel. 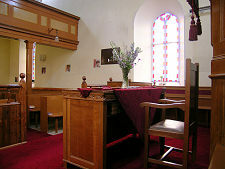 The interior of the kirk was clearly designed to have little adornment to distract worshippers from their focus on the minister. Despite this the woodwork is beautiful, and the stained glass fringing to the windows also adds much to a lovely atmosphere. The kirkyard is thinly populated by headstones and grave markers. 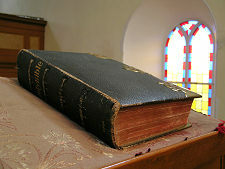 A few are very elaborate, with stone or metal surrounds. In contrast, others are very plain. A row of three simple crosses to the north of the kirk are especially poignant. 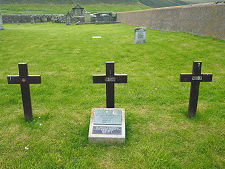 These mark the last resting places of three of the crew of the SS Hop from Bergen, which was torpedoed on 4 February 1940. The three men buried on Fetlar were among 15 crew members killed when their lifeboat was wrecked off Unst three days later.